One car, two different sides. Artwork by John Ott greatly enhanced the appearance of these cars over my earlier attempt. As I mentioned in my post on the Buffalo Bill Advance Car 3, I had the artwork for cars 1 and 2 and wanted to build those. Those cars were a little more problematic as they would have to be scratchbuilt. Fortunately, I had good photos of both cars and could scale dimensions from them. The first thing I learned was that the cars had different lettering on each side. That would make things more interesting on the layout since both sides of the cars can be seen from different parts on the railroad. Car Number 2 with just as much colorful lettering as Number 1. The first thing I did was scale out the cars using the wheel diameter as a standard. According to this, both cars were about 50 feet long. Coincidentally, this was the same dimension as the MDC passenger cars. I used the floor and roofs of these cars as the basis. The windows and ends were Westwood parts. For those who might not be aware, Westwood made passenger car kits around the late 1960s. They used a series of windows and doors to build up their car sides. I have a number of these parts and found what I needed among them. Evergreen styrene passenger car siding took care of the sides. The doors on Car No. 2 were built up from .020 thick styrene. Prototype photos of Car Number 1. The end beams of the platforms were cut off the MDC floor and Cal-Scale end railings installed. 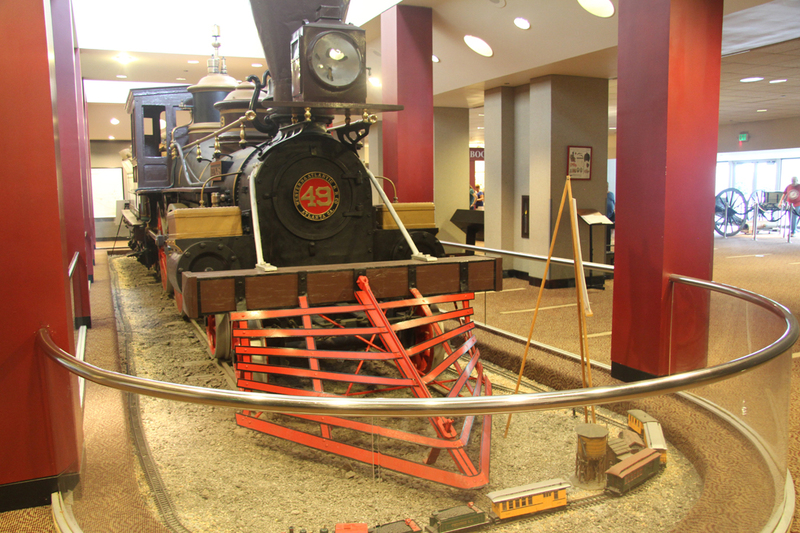 A "possum belly" tool carrier was installed on each car built from scribed styrene. The duckbill roof of Car 1 was an MDC part. The contours of this roof are a bit strange so I used drywall joint compound to fill in the unusual groove on the roof which was then sanded smooth. The lettering decals were made from the tremendous artwork developed by my friend, John Ott (www.ottgallery.com). It was adapted in the same way as Car No. 3. Trucks were from Bitter Creek Models (www.bittercreekmodels.com). Prototype photos of Car Number 2. Now I have three advance cars. How were these used on the prototype? A few weeks before the show was due to hit town, Car No. 1 was sent out with a crew who would paper the town with posters advertising the show. When the job was done, it moved on to the next town on the show's tour. Meanwhile, Car No. 2 was visiting the outlying towns close enough to the show town that residents could join excursions to see the show. Car No. 3 was held in reserve. If another, competing, show tried to play the same town, No. 3 was dispatched on the first train. 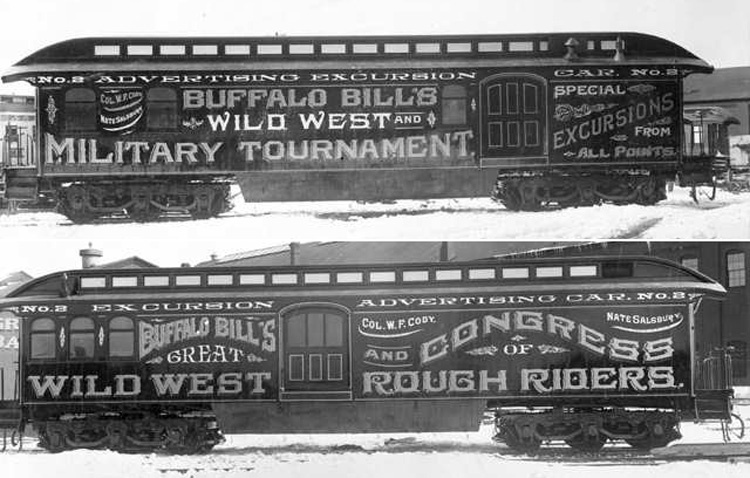 They would again paper the town, stage some sort of exhibition, anything to draw attention to the Buffalo Bill show instead of the competitor. It should work for some additional car movements on my railroad. In any case, they are nice-looking cars and were fun to build! The General in the Kennesaw museum. One of my long-time interests has been the Civil War incident called The Great Locomotive Chase. Ever since seeing the Disney movie in 1956 (I was very young then), I have wanted to visit the area where the raid took place. Last week, I finally had my chance. My wife, Becky, is a quilter and one of her associations held a convention in Chattanooga. While she was learning more about her hobby, I was roaming the Georgia countryside looking at antebellum railroad depots (several still survive!) and locomotives. 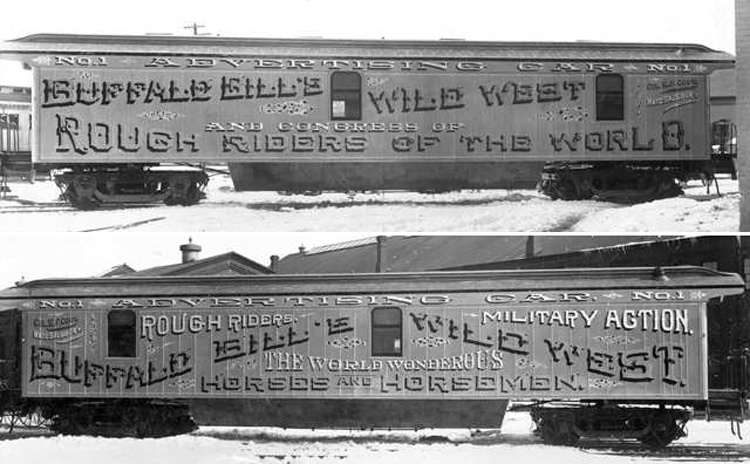 Both the General and the Texas (two of the locomotives used in the raid) are still in existence and preserved in Kennesaw and Atlanta respectively. 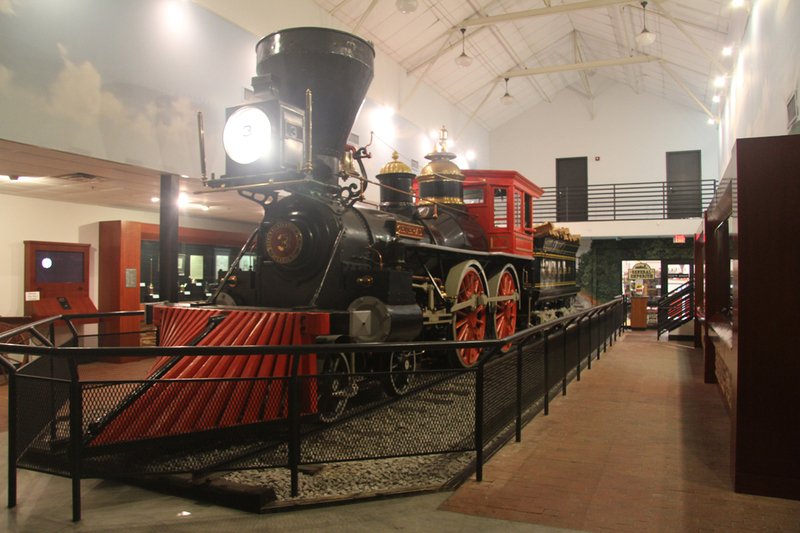 The Kennesaw museum, The Southern Museum of Civil War and Locomotive History, is where the General is situated and has a great display on the raid. Also, very nicely, it is located adjacent to the tracks of the old Western and Atlantic Railroad and just about 100 yards from where the train was stolen on April 12, 1862. Both of the engines have changed considerably from their Civil War era appearance but the restorations are probably the best that could have been done with the information at hand. The Texas as found in the Cyclorama building in Grant Park. The Texas is located in Grant Park in Atlanta in the same building with the Battle of Atlanta cyclorama. It is not as nicely restored as the General but it is still preserved. Erected in 1890, the graves of the executed members of the party surround the monument. Chattanooga is the home of a Veterans' Administration cemetery and contains many of the soldiers killed during the battles for that city. 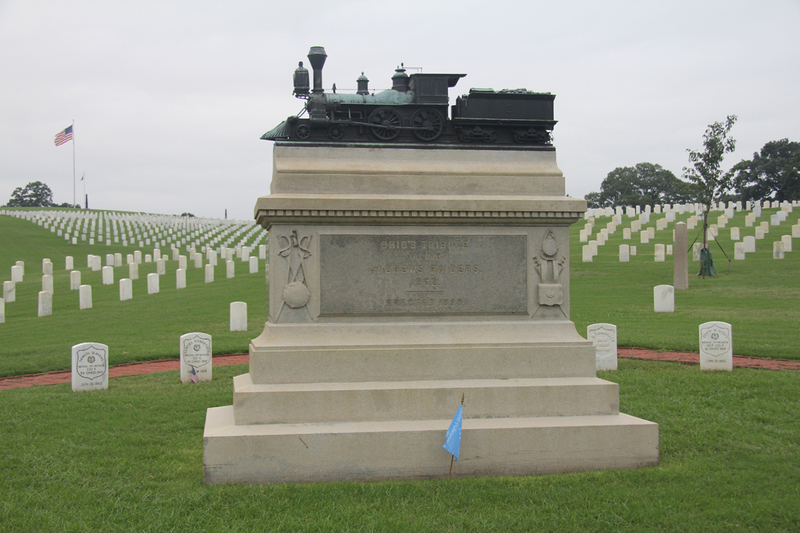 In 1890, the surviving members who participated in the Great Locomotive Chase erected a monument to their comrades in the raid which contains the names of all who were there. The seven members of the party who were executed as spies are buried adjacent to the monument.